The Children’s Theatre of Annapolis is proud to announce the formation of a new outreach traveling troupe, CTA Second Stage. The troupe, which will consist of approximately 20 teens age 12 to 18, will be available to perform at local events and organizations around Anne Arundel County. 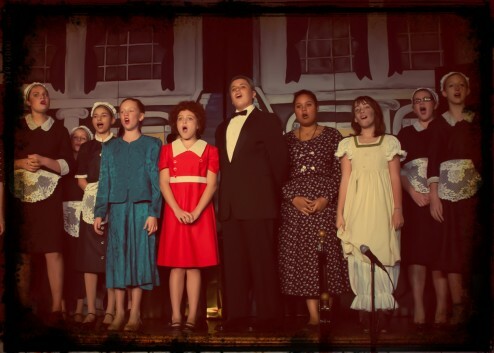 Its goal is to not only entertain local audiences, but also to showcase the talent that CTA has to offer and allow young performers new experiences and theatrical outlets. The troupe will also have an educational aspect, keeping in touch with CTA’s mission of not only providing theatrical opportunities but a solid learning experience as well. “We also plan to give the teens leadership responsibilities, so they will not only learn theatrical skills but also develop tech skills, teamwork strategies and flexibility,” says Cathy Hollerbach, CTA president. The group will offer an upbeat and energetic series of medleys from favorite Broadway musicals, both classic and modern. Looking forward to 2013 holiday season, the group will also be available to perform beloved carols at holiday events. The troupe will be directed and choreographed by Katy Stratchko, who has long been involved in the Children’s Theatre of Annapolis, and she’s joined by music director Tina Allen, also a musical theatre veteran. Auditions for Second Stage will be open to youth ages 12 to 18 and held from 1 to 3 p.m. Sunday, December 2nd, and 7 to 9 p.m. Wednesday, December 5th, at CTA’s theatre, 1661 Bay Head Road, Annapolis. To audition, please prepare 32 bars of two contrasting musical theatre songs and a memorized one-minute monologue. Be prepared to learn and perform a short dance routine. For more information, visit Childrenstheatreofannapolis.org. If your organization is interested in booking CTA Second Stage for a performance, please email [email protected].